When it comes to hair, African women are often met with various challenges and issues with their natural hair. Our hair is quite coarse and difficult to style. We also have the issue of thinning and stunted growth which deters versatile styling. Due to coarseness of our hair, a majority of black women go through various chemical processes to soften and lengthen our hair which often leads to further issues such as dryness and breakage (such a lose-lose situation). Most times, the way out of these predicaments is to resort to braiding (which takes up all your day plus the stress of having it take out), wearing weave/wigs (which has its own set of issues ), wearing low cut or the recent trend of wigging it out. The latest trend is the natural hair craze. It’s really inspiring to see many leading Nollywood actresses undergo the natural hair journey. When the red carpet come calling, these stars have not been shy about rocking their natural hair and making it a major part of their fashion statement. Celebrities such as Omoni Oboli, Nse Ikpe-Etim, Uche Jumbo-Rodriguez and Chioma Okpotha have all achieved good length over time, enough to achieve some versatile styles. On the other hand, others who have not been so fortunate to achieve good length or just starting out have resorted to taking hair vitamin like Hairfinity and even out right endorse the product (I am smelling sponsorship). Nollywood beauties Dakore Egbuson-Akande, Annie Idibia and Funke Akindele have all endorsed Hairfinity within two weeks of starting on the vitamin with claims of seeing results – healthier/fuller edges. During her 2-weeks hair update, Dakore declared “so I’ve been using #hairfinityvitamins for 2weeks now and I can honestly see more fullness especially on my precious edges! Yay!” She went on to announce two winners for her 2-bottles give-away. “It’s been over 2 months on my @hairfinityng journey and this product has surpassed all my HAIRspectations. My hair is fuller, longer and healthier. Taking care of my hair is now a certified walk in the park. ????.. Remember ladies #AWoman‘sHairIsHerCrowningGlory #Hairfinity.” To be honest, from the photo which is part of the gallery above, it does appear she achieved a good inch in length and it does look fuller! 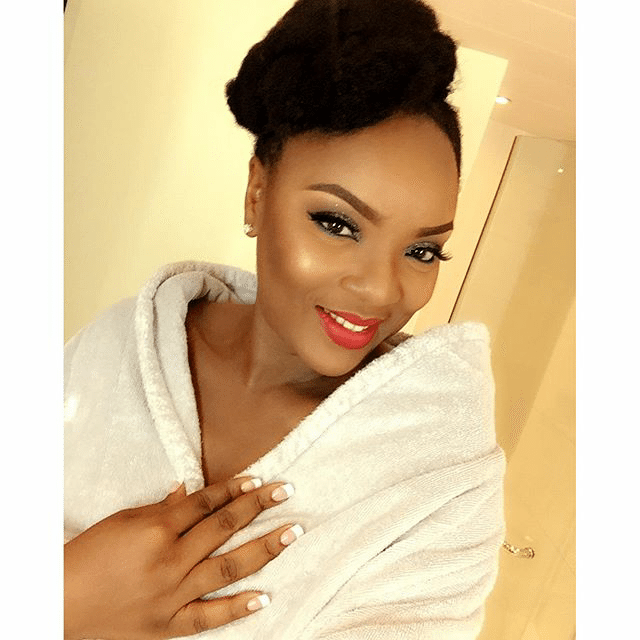 Funke, who is yet to reveal her hair has also claimed to see results and tips on drinking a lot of water, fruits and vegetables while on the vitamin. I hope you’ve learned a thing or two about how to grow healthier, fuller and longer hair. Remember, your hair is your glory, so wear yours proudly. Be sure to leave any tips that have worked for you or share any experiences you’ve had with hair vitamins in the comment section below.